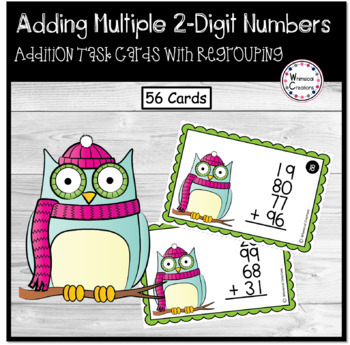 Help students learn how to add four 2-digit numbers with these adorable owl cards! 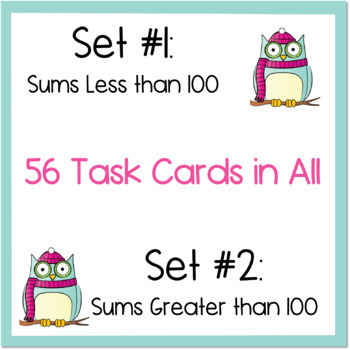 Included in this product are 28 task cards, a recording sheet, and an answer key. 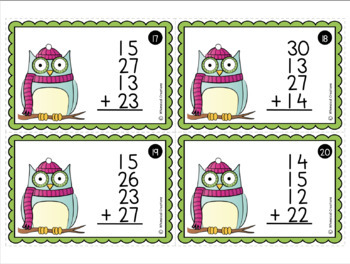 Printing the pages on card stock and then laminating is highly recommended as it will increase the durability and the longevity of the product. The pieces in this product may be stored in a Ziploc bag, envelope, or plastic container.